As it is known, the UVB-76 was moved from Povarovo (near Moscow) late 2010 and its new location remained a mystery for a while after that. The triangulation attempts did not give a very conclusive answer and picking the right site by Google Earth only was too much of searching a needle from haystack. 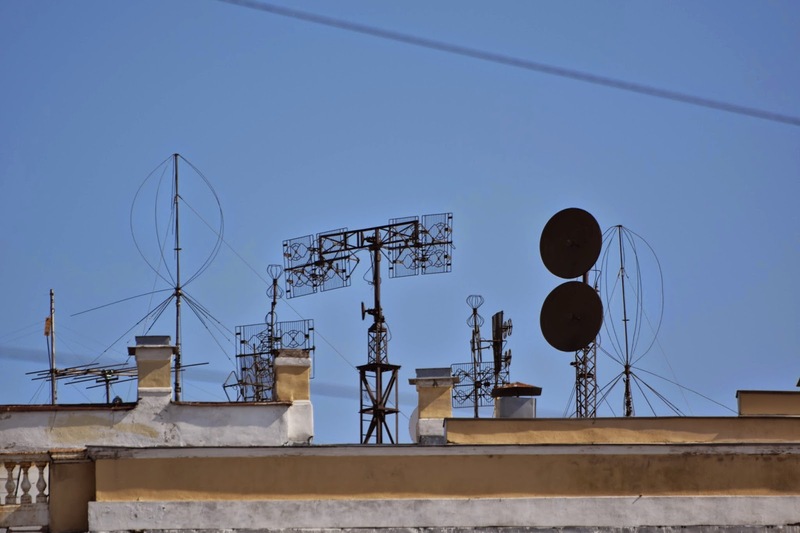 Thanx to the efforts of priyom.org team and information from long-time number station aficionado Ary Boender, there are now one well-documented and one less-documented location where the current UVB-76 transmitters are believed to operate. As always, nothing is certain and guaranteed, but the information so far seems plausable. Big thanx to the priyom.org guys for figuring it out! Ary Boender describes the location (Kerro Massiv, Leningradkaya Oblast) it at his wonderful Numbers and Oddities Magazine no. 200 as part of the 60'th communication hub codenamed Vulcan, servicing the Western Military District. According to Ary, the number of antennas totals to 30, including: 19 VGDSh units, 4 VGDShP units, 6 RGD units, 1 V-shaped antenna. All 23 horizontal dipoles (VGDSh), 4 (of 6) rhombic antennas (RGD) and 1 V-shaped antenna are suitable for 4625 kHz. The directional RGD antennas are beamed to Murmansk, Arkhangelsk and Moscow (2 antennas to each direction). 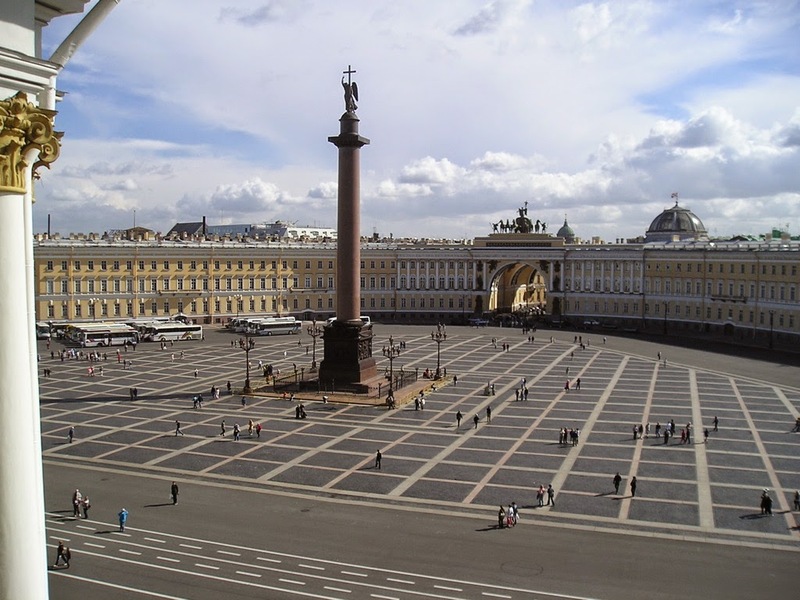 This site is mainly just a transmission site, so it is getting its content to transmit from the 60'th communication hub "Vulcan" located in St. Petersburgs one of the most beautiful districts. The feed is transmitted from hub either by phone lines or by radio (such as R-414S). Little is known about the second stated buzzer location at Naro Fominsk (55°25'35"N 36°42'33"E ), only that it is belonging to 69th Communication Hub. As a sidenote, the newly found locations correlate quite nicely with the triangulation attempts few years ago. (The comments in italic below are left for historical purposes - there was indeed a suspicion of multiple transmission sites). - There are more than one transmitter and different ones have been spotted during triangulation. While the new bearings arrive, just enjoy browsing the map! The red semi-transparent sectors can be eliminated by pressing the "sectors" button above the map. See http://www.movable-type.co.uk/scripts/latlong.html for excellent library functions. The usage is quite simple, just search for the array named 'triangulations' inside the code and replace with the values you would like to use. Official "Voice of Russia" Transmitter. In 2010 the former reported site Powarowo is abandoned during night and fog in just a few days. There are more than one eyewitness who seen the "evacuating". One of them can be seen on youtube talking about the Transmitter and the "evacuating" of Powarowo site. On September 2010 the buzzer stops for few days. Why is that Google image in Estonian? I think I've heard music on UVB-76 today 7:52 GMT -3. Question, I've heard that in 2010 the station on the map was abandoned, there is a small news documentary about 3 to 5 mins named "...the mystery of UVB-76" stating that. I was wondering if we have any new triangulation after that. Today (yesterday actually, because now is 12:21 AM) 2013/08/21 04:28 I was making my "little" array for my receiver I turned it on, and I think I hear voices in the background of the buzzing, there was a male and a female, one was speaking in russian with accent, and other one was speaking fluent (probably native) russian, well maybe I just imagined that. ¿¿¿No tenía virus al archivo??? Chile - 16:35 pm - El zumbido intermitente aparte de estar en una tonalidad en " b " o " Si " (véase acordes de guitarra) ha disminuido de tono dando paso a un sonido de Helicóptero por unos 5 minutos... luego vuelve el zumbido, solo que ahora escucho entre zumbido y zumbido un leve sonido de Helicóptero. jeje igual vine por Dross como lo puedo escuchar en vivo? É uma transmissão ao vivo, live, mas com atrasos. Delays. É uma transmissão ao vivo, mas com atrasos. Live with delays. hi im from holland and i got a kenwood g707 and i want to know how to find the uvb-76 i try to hear it but cant hear nothing can you help me ??? Please give us the website for the live transmision. Thank you so much. esta en vivo el archivo de am que descargue? This live the am file you download ? This is the UVB76 main transmitter site! I set up my own station now.